As of version 1.4.9 of WinEth it is possible to mine Ethereum Classic (ETC). If you have never used WinEth, you may reference the How To Mine Ethereum page for normal operation with ETH. 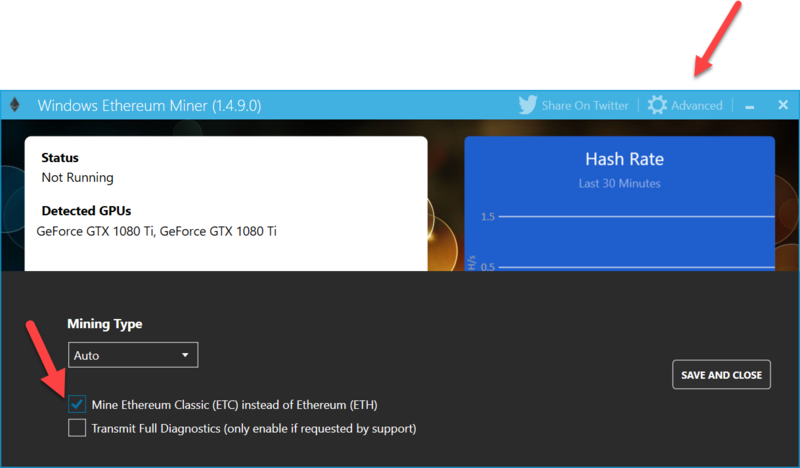 To mine Ethereum Classic instead of Ethereum you must first enter an Ethereum Classic wallet address, then navigate to the Advanced Settings page of WinEth and check the box for Ethereum Classic. This setting will be preserved next time you run the application. Be sure to disable this setting if you want to mine Ethereum (ETH) again.